BMW presents Connectivity optional equipment. Multifunctional instrument cluster with 6.5 inch full-colour TFT display offering a wide range of features. Munich. 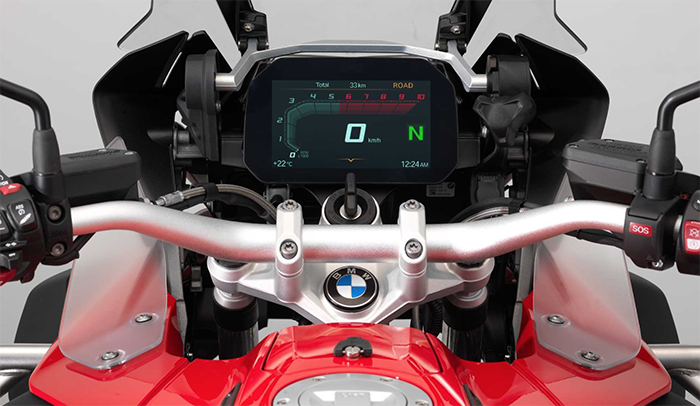 Providing fast and clear information for the rider with the least possible distraction from what is happening on the road – this is achieved with the unique operating concept of the new Connectivity option by BMW Motorrad featuring a high-quality 6.5 inch full-colour TFT display. The new Connectivity option will be launched in autumn 2017 on the R 1200 GS and R 1200 GS Adventure. Further models will follow.